The Water Festival ended with fireworks and music. A Greek rock group. Not very good. The Protaras Water Festival so noisy, decided upon lunch at Sirena Bay. Sirena Bay very busy. But then it was Sunday. Yacht moored in the bay. Some visit in syle. 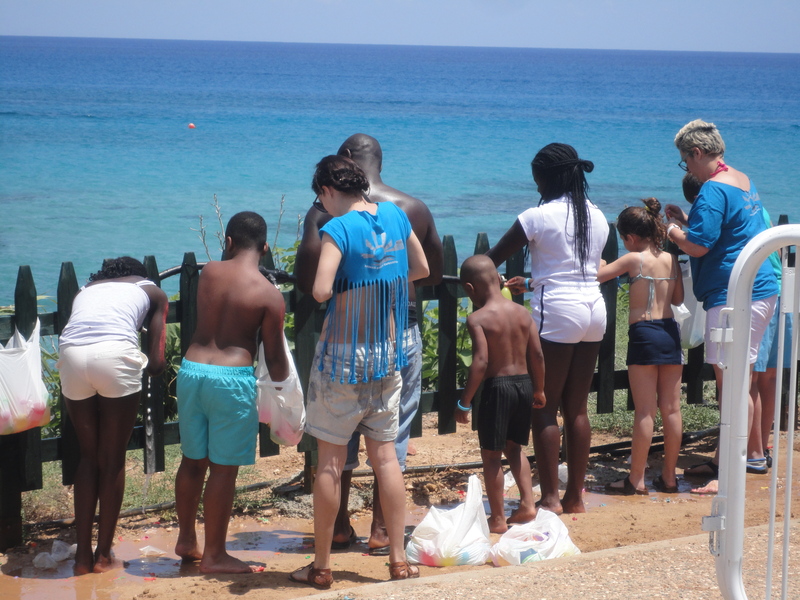 A water festival on the beach. The music, or what passes as music, brain-dead, moronic, headache inducing thud thud thud. It was even causing the coast path to vibrate. Lunch at Sirena Bay to escape. At night fireworks followed by Water Festival Concert. 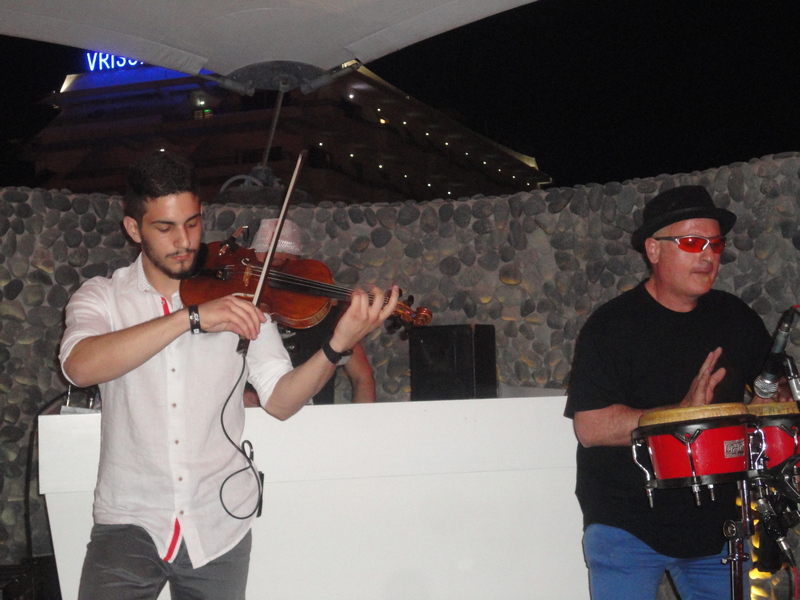 Marios Pavlou (violin) and Terry Moschovios (percussion) live at Verano. Once the sound balance had been sorted, not drowned out by the DJ, was excellent. 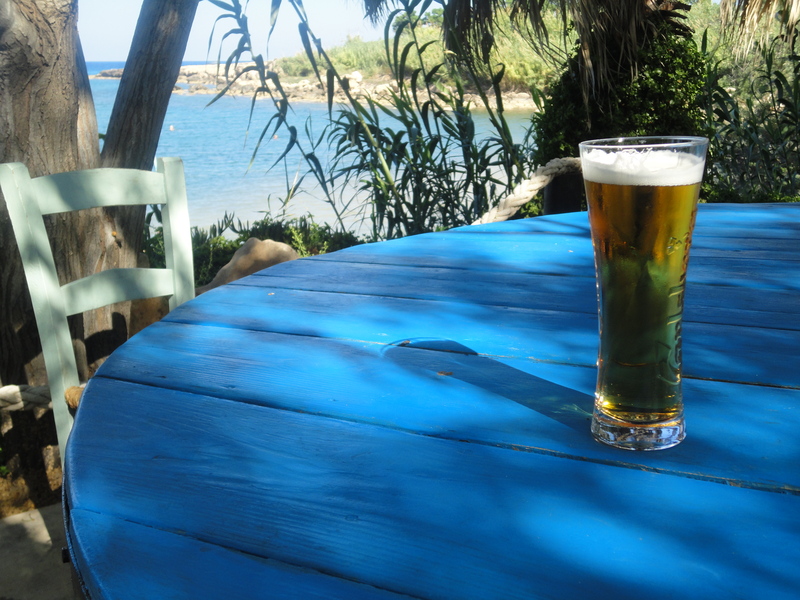 Put to shame eanything else in Protaras, which probably explains why Verano packed (usually empty). Why would anyone wish to see Lady Gaga, let alone a fake Lady Gaga? Verano is an excellent venue for live music, an ampitheatre (though stage is in wrong localtion, should be where the bar is located). 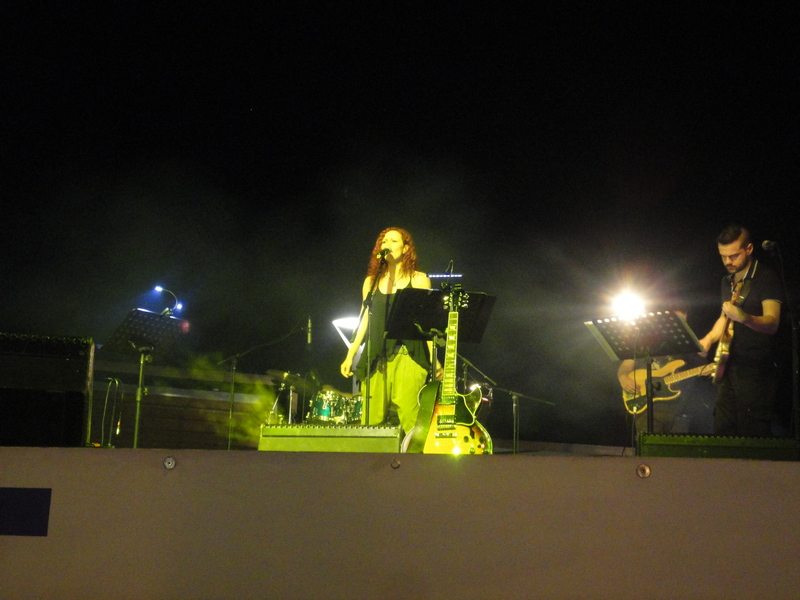 This is what Protaras needs, quality live music, not the awful bars that keep people awake night after night, then the drunks screaming and shouting once the music stops. 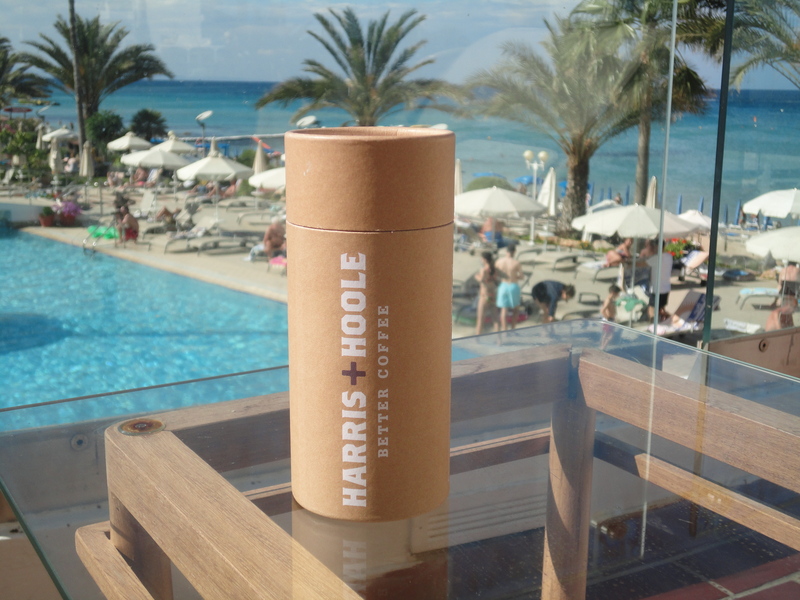 Coffee beans from Harris + Hoole Guildford, hand roasted by Union Coffee. Peridically boats from hell sail along the coast, music blasting out. Locally, they are known as monkey boats. 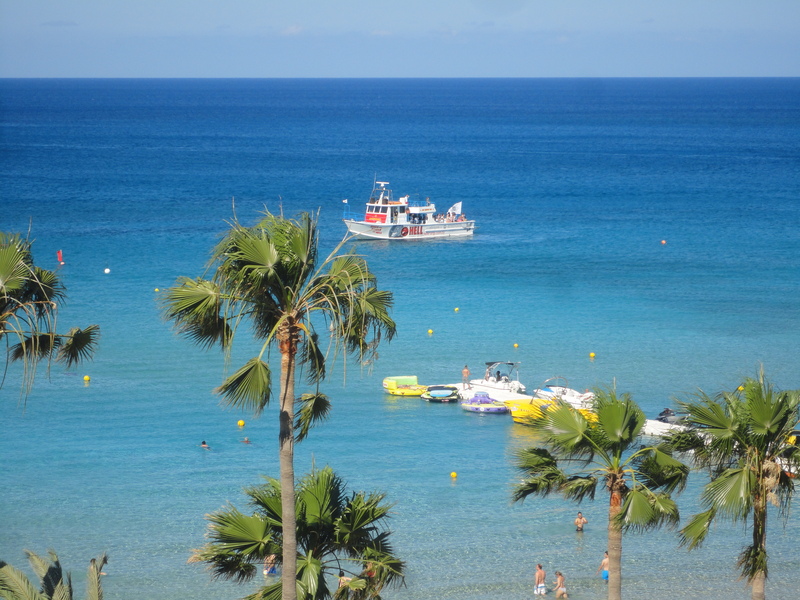 Today a monkey boat cut engines, drifted, music blasting the beach. I had the pleasure this evening of two very talented musicians, Elina on vocals, George on keyboards. It is an absolute must, one day a recording, release on bandcamp. Yesterday was to have been my last visit to Sirena Bay, but, I had agreed to meet a friend, and it was difficult to imagine anywhere nicer to meet than Sirena Bay. It was threatened a massive thunderstorm. We caught the edge as it passed by, gale force wind but no rain. 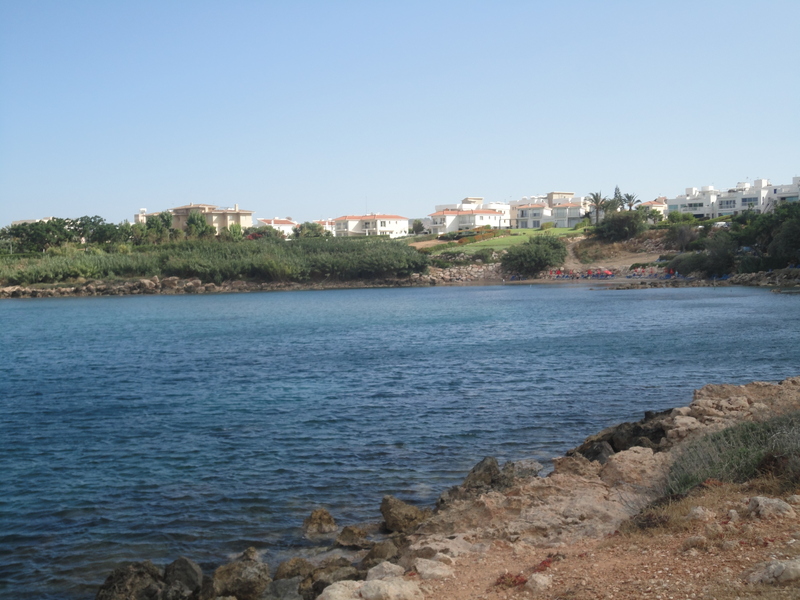 Sirena Bay is one of those places where one can easily spend an afternoon. You are currently browsing the Keithpp's Blog blog archives for May, 2015.